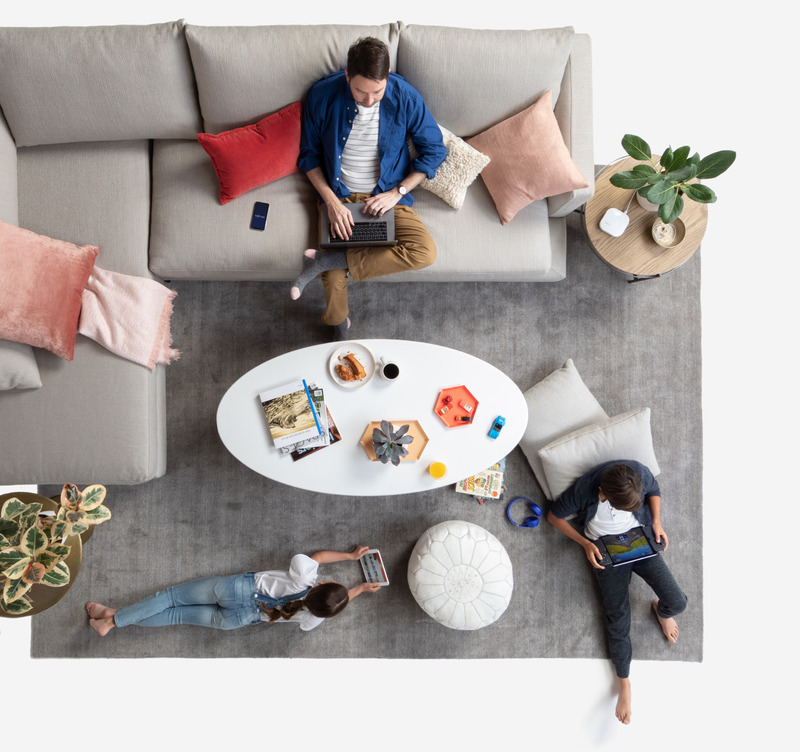 eero Plus combines the best security features and tools into one subscription to keep your personal information and devices safe. 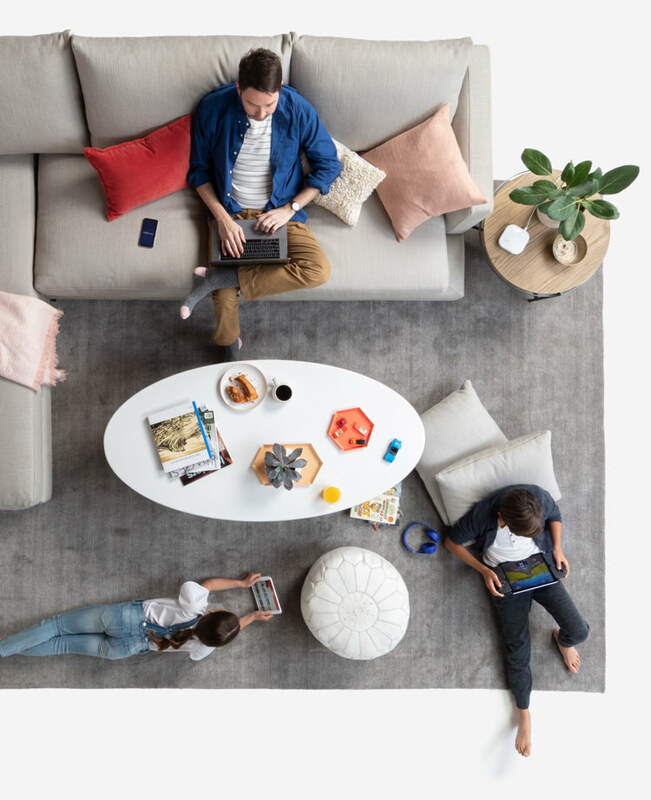 eero Plus is the only service you need to keep you and your family's personal information, devices, and network protected from online threats. 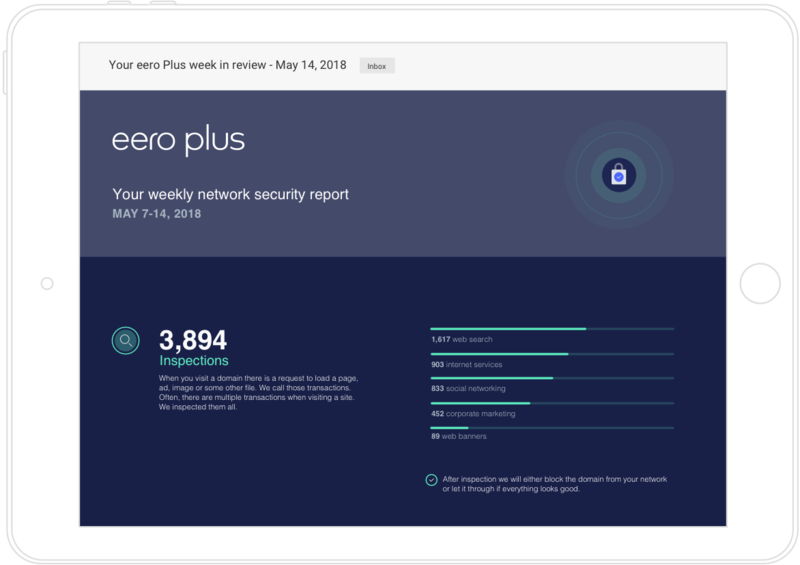 By checking the sites you visit against a database of millions of known threats, eero Plus prevents you from accidentally visiting malicious sites without slowing anything down. eero Plus automatically tags sites that contain violent, illegal, or adult content so you can choose what your kids can and cannot visit right in the eero app. Get rid of annoying ads and pop-ups on all your devices. Ad blocking also improves load times for ad-heavy sites so you can browse and stream faster than ever before. With encrypt.me, you can browse the web privately and securely with a VPN. This is ideal for people who work from home or when using potentially insecure public WiFi at cafes and airports. Stop using the same simple password for all your logins and get a password manager that can safely create, store, and share unique passwords in one central place. This anti-malware software scans, cleans, and protects your computers and mobile devices from viruses, ransomware, and more. Malwarebytes works on and off your eero network for non-stop protection. Advanced security doesn’t have to feel advanced. With eero Plus, you can manage all your security settings and tools, and access partner apps, in one simple dashboard. Did you know that eero Plus blocks about 150 harmful sites from each home every week? Stay in the know with our weekly report that details blocked threats, number of attempts and any other security updates for your household. What if I already subscribe to one of the partner apps? If you already have one of the partner apps included with eero Plus, you can easily transfer your subscription by following the instructions in our support article. How do I activate my eero Plus purchase? Once done, your eero Plus membership will begin and you can start to use all the included services. Who can use eero Plus? eero Plus can be used with any eero system not in bridge mode. To learn more about bridge mode checkout our support article. This is what peace of mind sounds like. I recommend eero Plus. I've had my eeros and eero Plus in my sprawling house since August. There is no going back. 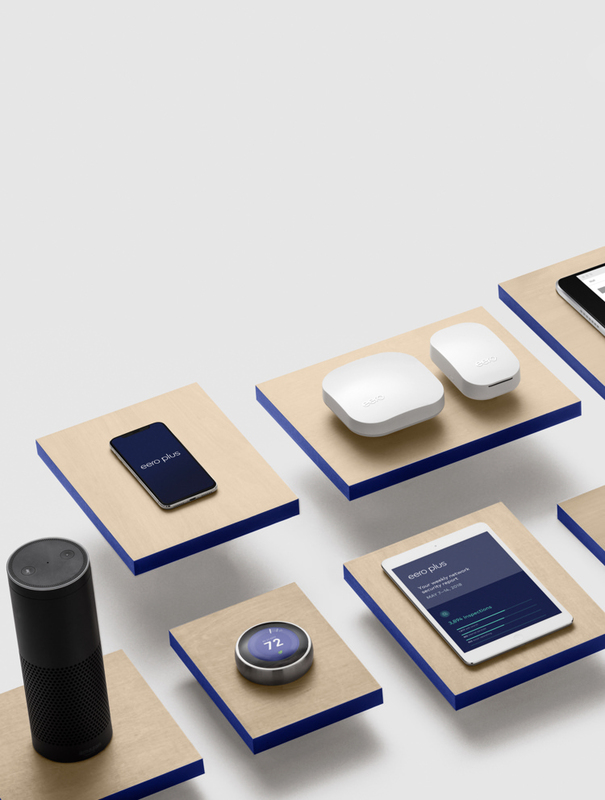 eero Plus protects my network in so many ways. I can't say them all in 147 characters. For any @geteero users remotely interested in your security, eero Plus with @1Password for families and @encryptme VPN is an amazing value. No brainer. @geteero is amazing. Just found out I get free @1Password @encryptme and @Malwarebytes accounts with subscription to eero Plus. eero Plus pays for itself!!!! You can enjoy a grande nonfat latte without wondering if the WiFi is secure. You'll never hear, "Honey, what's our Netflix password?" ever again. All your devices, including your baby monitor or doorbell, is safe from hackers.